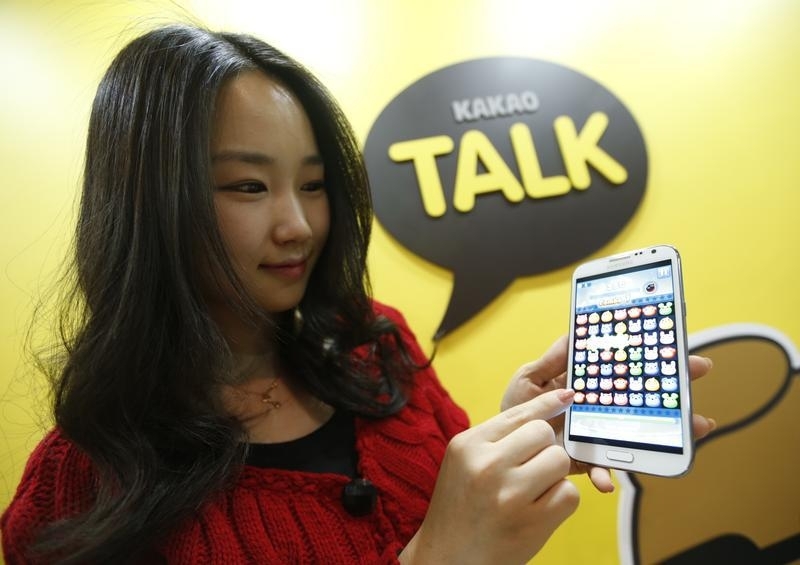 Kakao, owner of the country’s main chat app, is buying top music streamer Loen for $1.6 bln. Asia’s big messaging outfits are all moving into content and e-commerce to cut their reliance on ads and games. The same logic could hold for Facebook’s Messenger and WhatsApp services. An employee of mobile messager Kakao Talk displays the mobile game "Anipang" on a smartphone at the company in Seongnam, south of Seoul, March 26, 2013. South Korean internet company Kakao Corp said on Jan. 11 it would buy a 76.4 percent stake in the country’s top music streaming service provider, Loen Entertainment, for 1.9 trillion won ($1.57 billion). The deal values Loen at 2.45 trillion won. To finance the deal, Kakao will issue 6.1 million new shares worth 754 billion won to top Loen shareholders Affinity Equity Partners and SK Planet Co Ltd. The remaining will be financed through Kakao’s cash holdings, M&A financing and by inviting outside investments, the company said. Shares of Loen were up 3.3 percent at 81,200 won as of 1330 Seoul time (0430 GMT) on Jan. 11. Kakao’s shares were flat.